Hawai‘i Gov. 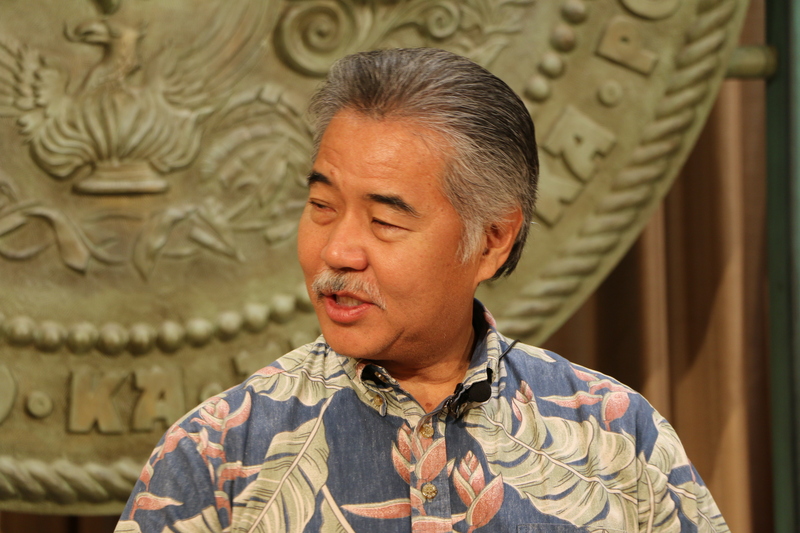 David Ige issued a message to residents and visitors of Hawai‘i on Sunday, Jan. 14, at 1:07 p.m., the day after an erroneous message was sent by the state’s emergency management agency, warning of an incoming ballistic missile. “On Saturday, Hawai‘i’s residents and visitors experienced an unfortunate situation that has never happened before and will never happen again—a false alert issued by the Hawai‘i Emergency Management Agency that a ballistic missile was on its way to the Hawaiian Islands. “On behalf of the State of Hawai‘i, I deeply apologize for this false alert that created stress, anxiety and fear of a crisis in our residents and guests. “I can personally assure each and every resident and visitor that steps have already been taken by the Hawai‘i Emergency Management Agency to ensure that a situation of this type never happens again. “The Hawai‘i Emergency Management Agency is committed to protecting the people of Hawai‘i, and over the past year it has been taking responsible measures to prepare for the highly unlikely event of a missile attack. As a state government, we must learn from this unfortunate error and continue to prepare for any safety threat to Hawai‘i’s residents and visitors—whether it is a man-made threat or a natural disaster such as a hurricane or tsunami. “In the next few days, I will continue meeting with our emergency preparedness team and personally talking with families, individuals and leaders from around our state to ensure we reach every household. We must also do what we can to demand peace and a de-escalation of tensions with North Korea. During a press conference on Saturday afternoon, Jan. 13, 2018, Hawaiʻi Gov. 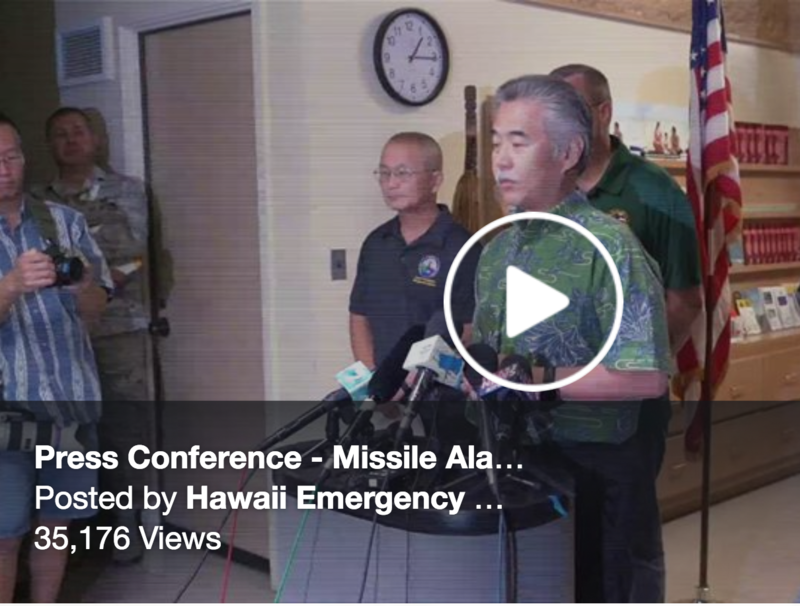 David Ige said he is “angry and disappointed” following a false alarm notification issued by the Hawai‘i Emergency Management Agency (HI-EMA), warning the public of an incoming ballistic missile. HI-EMA confirmed that there was no ballistic missile and that there were no computer hacks to its system. The message was sent out due to human error, according to authorities. HI-EMA Administrator Vern Miyagi said he “deeply apologizes” for the incident, adding that he accepts responsibility because it was “his team” that was involved. HI-EMA officials said they have already taken measures to ensure that an incident such as the one that occurred this morning does not happen again. HI-EMA has also started a review of cancellation procedures to inform the public immediately if a cancellation is warranted. On the recommendations of Miyagi, the governor has suspended all future drills until HI-EMA has completed a full analysis of the event. HI-EMA has already instituted a two-person activation/verification rule for tests as well as actual missile launch notifications. An automatic cancellation command that that can be triggered within seconds of an error has been put in place. Expanding notification processes for Hawaiʻi’s Congressional delegations, county mayors and key staff. A formal preliminary report of findings and corrective actions will be issued next week. According to HI-EMA officials, in the case of an actual event, it would take 20 minutes from launch to impact for a missile from North Korea to reach Hawaiʻi. Authorities would spend the first five minutes characterizing the launch to determine the missile’s path. Once it is determined that is incoming to Hawaiʻi, the warning point person has the authority to press the button to initiate public notification. If an actual threat exists and the public notification has been issued, residents and visitors of Hawai‘i would have an estimated 11 to 13 minutes to get inside, stay inside and stay informed. The federal government’s Ready.org website offers guidelines on what to do before, during and after a nuclear blast.